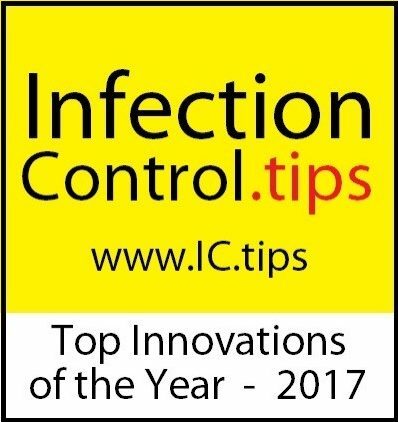 Awards - STAL Shield - Prodaptive Medical Innovations Ltd. The simplicity of this device provides the healthcare environment with an extra layer of protection at the source. When personal protective equipment is indicated against droplet, vaporized, expectorated, spurted or splashed infective agents and contaminants, the STAL Shield can block, shield and reflect fomites and protect the work environment, including patients, personnel, visitors, equipment, and surfaces. “The Infection Prevention Strategy is a registered non-profit. We have created a model of information sharing that makes the process of vetting new technologies, implementing successful programs and inspiring innovation more efficient, more accessible, more global and more collaborative. Our global teams are driven by the firm belief that we should not have to wait years for promising innovations, ideas and processes to be implemented and accepted. The www.IC.tips journal is a Pan-Access, worldwide collective that extends globally and touches locally. We are a 100% volunteer-based organization. We do not accept advertising or influence. The articles and contributions on our journal are from volunteers, edited for accuracy and free of influence from special interest. We do not pay our authors. Our ISSN is 2369-7342.